So, you found a server that you want to stay active on, and it just so happens that they are searching for the perfect staff member to fulfill their needs. You want to be that kind of person, to take the responsibility of a staff position or whatever position is open in which you want to apply for? 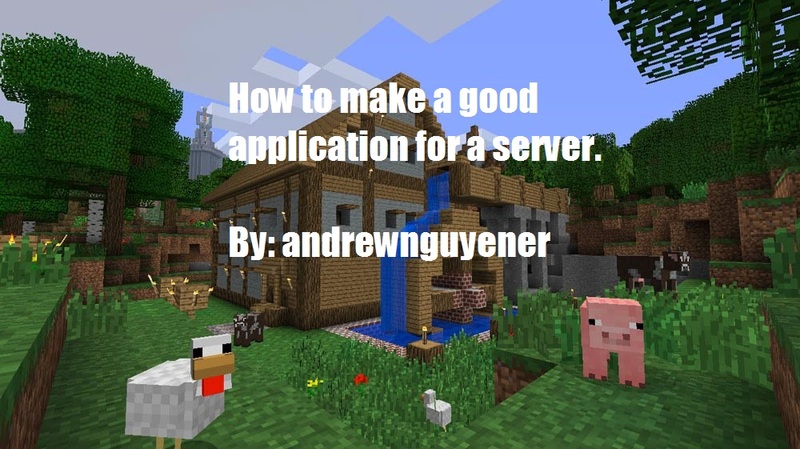 Well, today, I'm going to show you how to make a great application for any server you apply on. Experience: i played on many server back in day. i was staff on many server. Why should you be staff? : because i have lot of experi3nce with staff so can i h4z op? Experience: I have a lot of experience on many servers. For example, I am a moderator on *****craft, and an operator on ***** Network. I have played Minecraft for over a year now, and I know a lot of information on plugins and more. Why should you be staff? : I should be a staff member, because I have a lot of previous experience, and I can help out the server in many ways. Experience: I have been playing Minecraft since the Alpha days, and have been playing on servers ever since the feature was added into Minecraft. I have dedicated time and effort into many servers, such as ****craft, where I currently have a Moderator rank on, and ***** Network, where I have a role as a developer for plugins on the server. I usually partake in the very important roles on the server, because I ostensibly have a superior sense of knowledge and common sense when it comes to playing Minecraft. I am, as well, very familiar with a large list of plugins. Why should you be staff? : I should be a staff member because, I have grasped a large knowledge on all parts of Minecraft including plugins, building, and interacting with players. 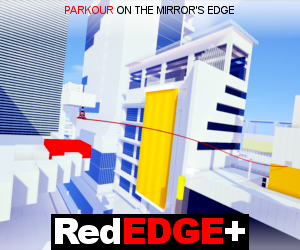 I contain a lot of experience that other players lack, in comparison to me. I provide a helpful aid to the server; for helping out players, the owner, and the rest of the staff to build a good Minecraft community for all players to interact on. That was just one example of many different ways to answer to an application for a server. I believe that good grammar, a large knowledge of servers and Minecraft, and the ability to provide info that you can help the server out can lead to a great application for a server.